Limitless Hosting Review 2019: Is Limitless Hosting a Good Hosting? Limitless Hosting is a global web hosting provider that offers some of the cheapest hosting plans you will find. Limitless Hosting began by offering game servers in 2016 and later introduced web hosting services in 2017. This provider has a presence in the U.S., U.K., Europe, and Asia, thus catering to the hosting needs of an international client base. 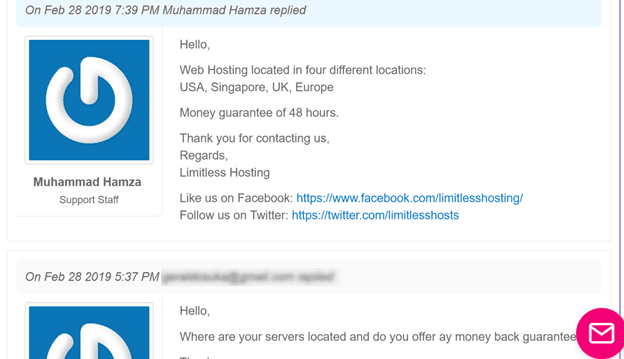 The Limitless Hosting website is in English. All hosting is on high-performance servers featuring some of the best technologies on the market, including LiteSpeed Web Server, CloudLinux (to isolate you from other hosted customers), and the Cloudflare CDN (to ensure super-fast page loading speeds). Speed is improved even more by using SSD storage rather than the slower traditional HDD. 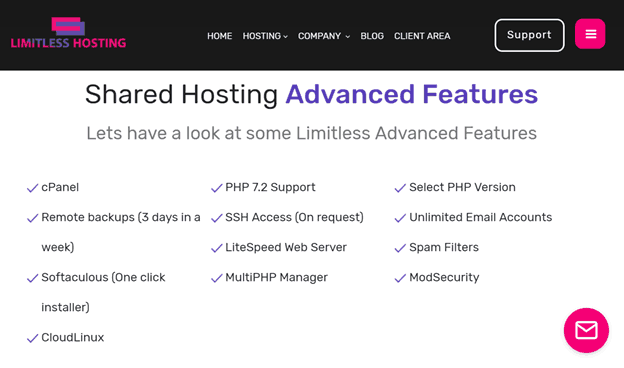 Despite this being a relatively recent entrant into the hosting market, Limitless Hosting has made its hosting solutions as beginner-friendly as possible by bundling the cPanel control panel and Softaculous one-click installer. I have little doubt that Limitless Hosting is one of the cheapest web hosting providers you will find. For less than a dollar per month you can get a hosting plan that gives you 1 GB disk space and 50 GB bandwidth. You also get instant activation and additional freebies such as a free SSL certificate, and free website migration, but sadly no free domain. It’s good to see that you can get out of your commitment if you change your mind, but not so good to see that this is only a 48-hour money-back guarantee. It wouldn’t be so bad if you could sign up for a monthly plan, but the minimum commitment is six months. It’s easy to select a plan then sign up and pay online using cryptocurrency (Bitcoin, Ethereum, and Litecoin), Perfect Money, 200+ Payment Money, EasyPaisa, Skrill, and PayPal. Limitless Hosting’s support channels are almost limitless. Well, not really, but you can reach the customer service team by live chat, email, tickets, and telephone. Ironically, there is a ‘limited’ knowledge base that won’t be too much help in answering your questions. Limitless Hosting is a new player on the hosting scene that provides its customers with the cheapest high-performance web hosting with a 99% uptime. Wondering how Limitless Hosting stacks up against other Web Hosting companies? Enter any other Web Hosting company and we will give you a side-by-side comparison.